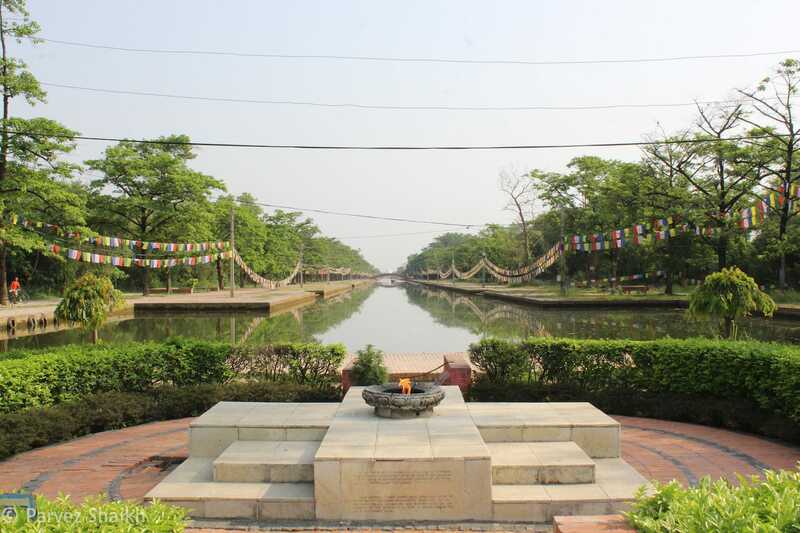 A visit to Lumbini - the birthplace of Lord Buddha - is filled with peace and spirituality. Here's everything you need to know about Lumbini, Nepal. A day before my departure from Bardia, I was sitting at the dinner table with Keshab, my guide at Bardia Wildlife Resort. I told him that I was planning to leave for Pokhara the next day by bus. Keshab told me that it would be a long ride in a bus to reach Pokhara from Bardia – often spanning up to 15 to 17 hours during monsoon. I wasn’t quite ready to handle this long ride and I asked whether I could make a stoppage or two somewhere nice. Keshab suggested that I should go to Lumbini, known as the birthplace of Lord Buddha. This journey would take about 8 hours, he told me. This sounded like a nice plan to cut my journey into two and so I ended up in Lumbini, where I spent two days exploring. 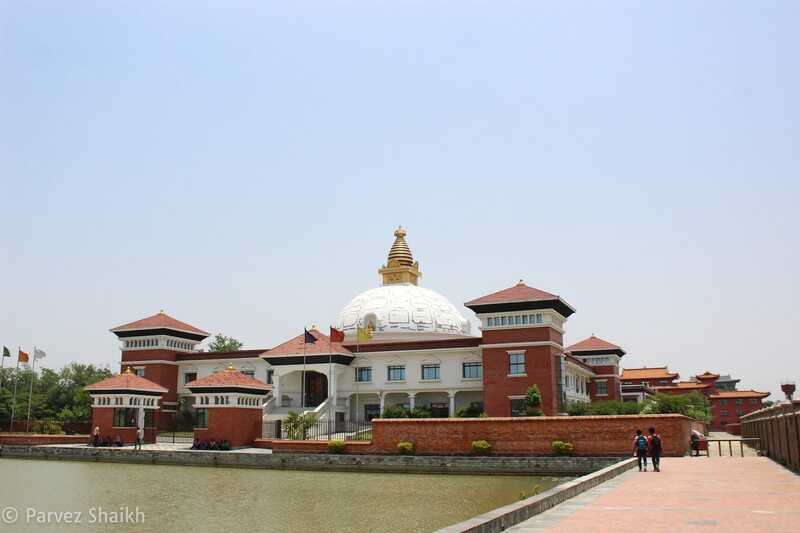 Here’s everything you need to know about Lumbini and how to spend a day or two there. Lumbini, which means “the lovely” in Sanskrit, is believed to be the place where Queen Mayadevi gave birth to Siddhartha Gautama. After achieving Enlightenment, he became Gautama Buddha and founded Buddhism. Indian emperor Ashoka – who later converted to Buddhism – visited Lumbini in 249 BC and constructed four stupas and a stone pillar. In 1997, Lumbini was designated as a UNESCO World Heritage Site. Throughout the years, many Buddhist temples and monasteries have been constructed near the Queen Mayadevi Temple. Some monasteries are being built at the moment. If you are seeking peace, spirituality or wish to learn more about Buddhism, a visit to Lumbini is a must. Although it doesn’t receive as many foreigners as other parts of Nepal, Lumbini has slowly become popular among local and foreign tourists and Buddhist devotees in recent years. It isn’t fairly easy to reach Lumbini from different parts of Nepal unless you are taking direct buses from cities like Pokhara or Kathmandu. To reach Lumbini by air, you have to reach Kathmandu and then either take a bus or a domestic flight to reach Bhairahawa Airport. From Bhairahawa, you can take another bus or a taxi to reach Lumbini. If coming by buses other than a direct bus from either Pokhara, Kathmandu or other parts of Nepal, you will have to change a few buses before you can reach Lumbini. In most cases, your first destination would be Butwal. From Butwal, you will take another bus to Bhairahawa and then take another short bus ride to finally reach Lumbini. Buses and taxis drop you near the gate of the Lumbini Garden from where it’s a few minutes of walk before you can find a place to stay. Once you get off the bus or taxi, you can start walking towards the Lumbini Market. You will find affordable accommodation in and around the Lumbini Market area – most of which will cost you around 600 Nepali Rupees on an average. Paying anything more than 700 Nepali Rupees ($7) will be a waste in my opinion. If I remember the name correctly, I stayed in Lumbini Village Lodge for 700 Nepali Rupees. I wouldn’t consider it a great choice but it was okay for me to spend two nights. Depending on the timing of the bus you take from anywhere in Nepal, you might reach Lumbini in the evening. If so, there’s not much you can do around Lumbini. You will be tired from your long journey and you might want to grab some dinner and go to sleep. On the next day, wake up early, get fresh and have some breakfast. Then get ready for a tour of the Lumbini Garden – a 4 KM area which starts from Queen Mayadevi Temple and ends at World Peace Pagoda. You can either rent a bicycle or just take a walk around the whole area. Once inside the gated area, you can also hire electric vehicles to take you around the place. As I always prefer walking, I took a walk around the whole area on a hot day. 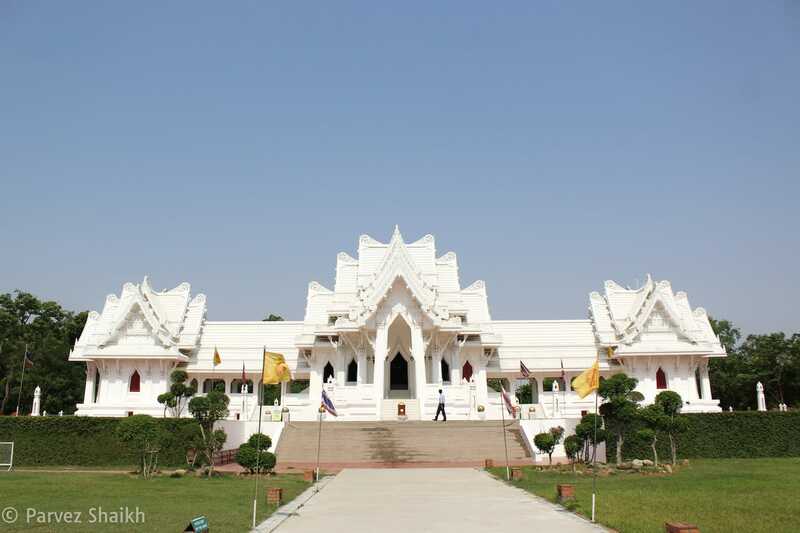 Whether you choose to walk or a bicycle ride around the whole area, the first place to visit should be the Queen Mayadevi Temple – where Lord Gautama Buddha was born. To enter the temple, you will have to buy a ticket from a nearby counter. Nepalis enter for free. 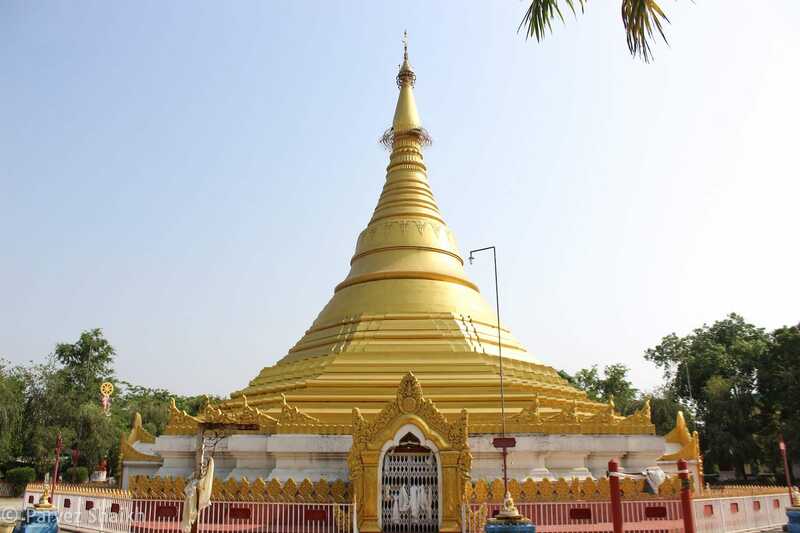 After visiting the temple, you can continue your journey towards World Peace Pagoda – around 4 KMs from the temple – passing through a number of monasteries and temples. Walking from the Mayadevi Temple, you will first reach the Bodhisattva Siddhattha Statue and then the Eternal Peace Flame at the beginning of the canal. From the Eternal Peace Flame starts the Monastic Zone which is divided by the canal into two parts – East Monastic Zone and West Monastic Zone. You can either continue from East or West side and reach World Peace Pagoda. On the East side of the Monastic Zone, you will find Thailand, Myanmar, Indian, and Shri Lankan monasteries/temples. 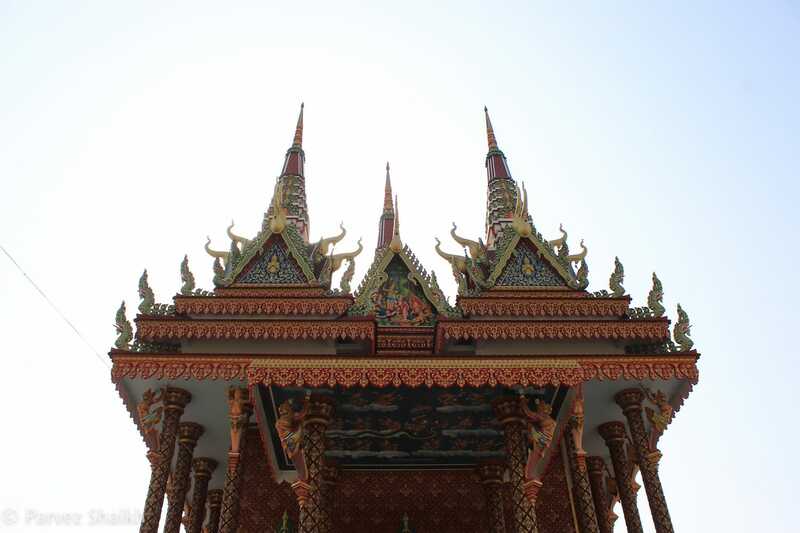 Some new monasteries like the Cambodian monastery are currently under construction. Also found on the East side is the Bodhi Institute. I visited this place where I met some students of the Institute and learned a few things about the place. 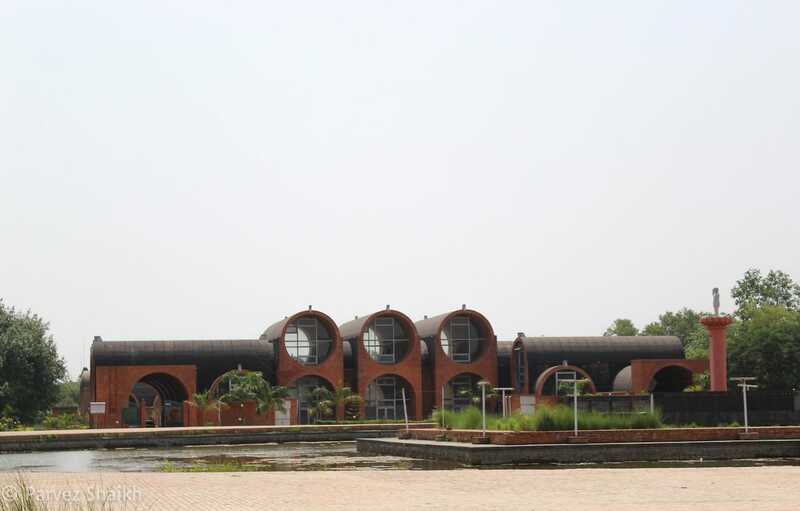 The Lumbini Museum is also on the East side of the Monastic Zone. On the West side, there are Korean, Chinese, Japanese, Vietnamese temples/monasteries. The Nepal Vajrayana Mahavihara and Linh Son Monastery are also located in the West Zone. You can enter, sit, and pray in any monastery or temple. In some monasteries, I would enter and just sit for a while to enjoy the peace. After long, chaotic travels, I really enjoy some peaceful time. A pond with beautiful lotus flowers is also near the Pagoda. Don’t try to pluck those flowers! After you are done visiting World Peace Pagoda, return from the same road and complete your journey towards the remaining (East or West) Monastic Zone. To satisfy your hungry belly, there are some small places around Lumbini. In the Lumbini Market area, you can find some places serving local food items like momos, thupka, chow mein etc. There are some places where they serve Thakali dish, too. In the West Monastic Zone, you will find a few stalls serving Nepali and Indian food items like pan puri, chaat etc. During my time in Lumbini, I often ate at a place called something like Angry Birds in the Lumbini Market area. Lumbini is one of the most important sites in the history of Buddhism. If you are a believer, a visit to Lumbini is a must when you are in Nepal. Even if you are not a believer, you should consider visiting Lumbini to explore more about the religion or just to have some peaceful time between your busy travel schedule. 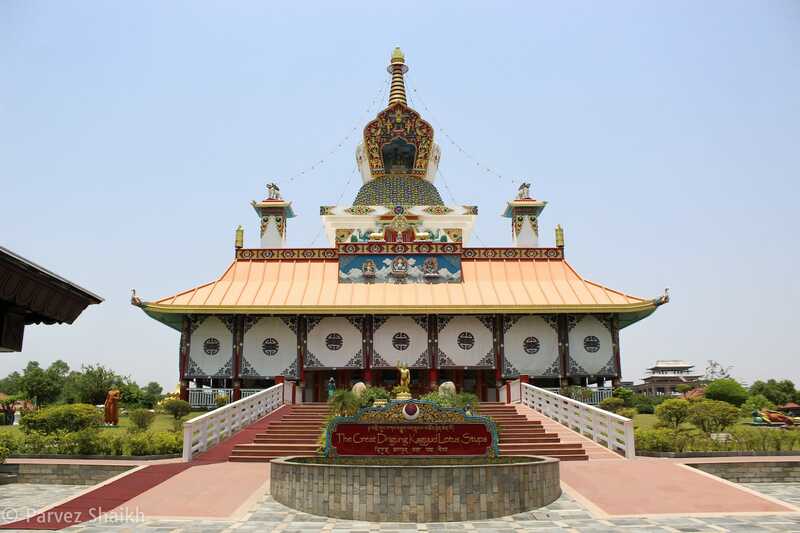 Lumbini is home to the Queen Mayadevi Temple – a place which is referred to as the birthplace of Lord Buddha. There are many beautiful monasteries and temples in Lumbini where you can find peace and have some time to relax. 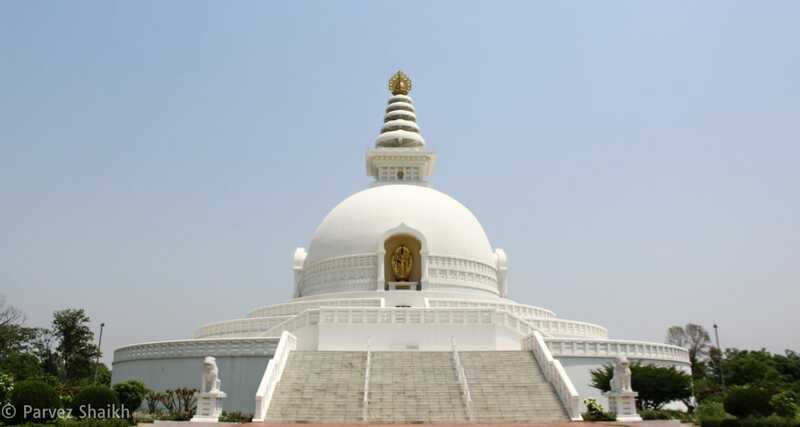 And of course, the World Peace Pagoda is also a famous site to visit in Lumbini. Do you know that out of about eighty World Peace Pagodas around the world, two are in Nepal? One is in Lumbini and another one is in Pokhara. In my opinion, spending one day (two nights) should be enough to get the best out of Lumbini. In my case, I stayed in Lumbini for two days. That’s it, folks! You were reading A Day in Lumbini, Nepal – The Birthplace of Lord Buddha. I hope you found this article informative and I would like to thank you for reading. If you liked this article then please share it with others. Is something missing? Can this article be improved? Do let me know. 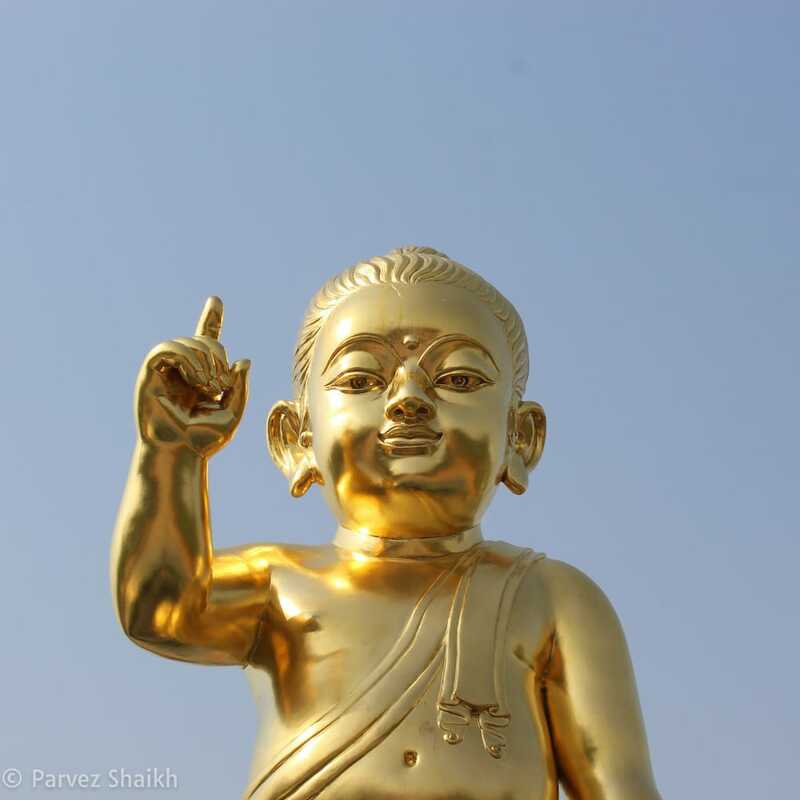 Did you visit Lumbini – the birthplace of Lord Buddha? How was your experience? How many days did you spend there? Share your experience with me! Looking for a hotel in Lumbini? Search and book a hotel right now. My only comment is you say you shouldn’t pay more the 700 ns for a room, yet you recommend booking.com. I booked a place through them and not only was the price when I went to confirm higher than the front-page quote, it cost me 1500 ns/night and that was the cheapest they had. Bit of a contradiction and I’m NOT happy with them. I recommend Booking.com to make a booking in advance for convenience. In Lumbini, you can really just walk in and get an accommodation most of the times. Booking.com includes local taxes and fees in their room price most of the times. So I have never actually paid extra than the price shown. Are you saying the hotel asked for extra when you checked-in? In that case, you shouldn’t be paying extra than what was shown on the booking receipt – unless it says taxes extra, of course. I’m not sure about the online prices but I think 1500 NR is a high price to pay in Lumbini. Can you refer to me the hotel listing, please?